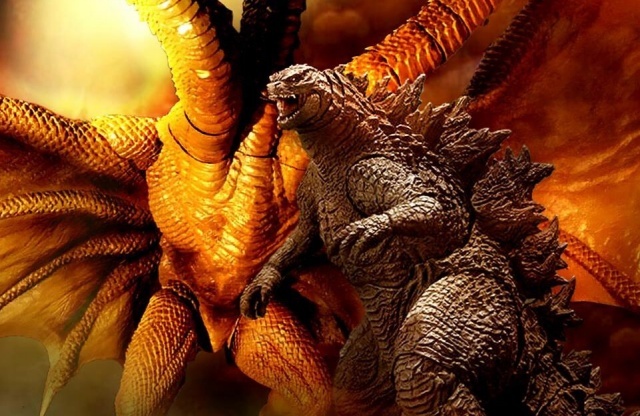 Monsterverse King Ghidorah dwarfs Godzilla and other Monsters in the new movie! King Ghidorah is big. We all know that. But just HOW big is the Monsterverse Ghidorah? Really... REALLY big. The Monsterverse King Ghidorah stands 521 feet tall and if that's hard to picture, S.H. MonsterArts recently unveiled their toy lineup for Godzilla 2: King of the Monsters at Tokyo Comic-Con and when standing the scale figures next to each other, it really puts into perspective just how massive Ghidorah is going to be. 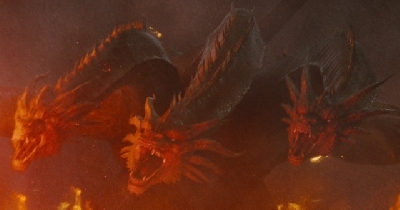 In Godzilla 2, King Ghidorah will literally dwarf Godzilla, Mothra and Rodan. He's quite a step up from the MUTOs Godzilla had to face in the first movie. Godzilla will surely need to bring some new skills to the table if he is to defeat this new enemy. Learn more about the Monsterverse King Ghidorah by visiting the Ghidorah Monster Bio page! 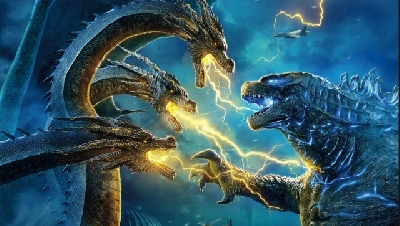 Let us know what you think of the new Ghidorah design in the comments section below. 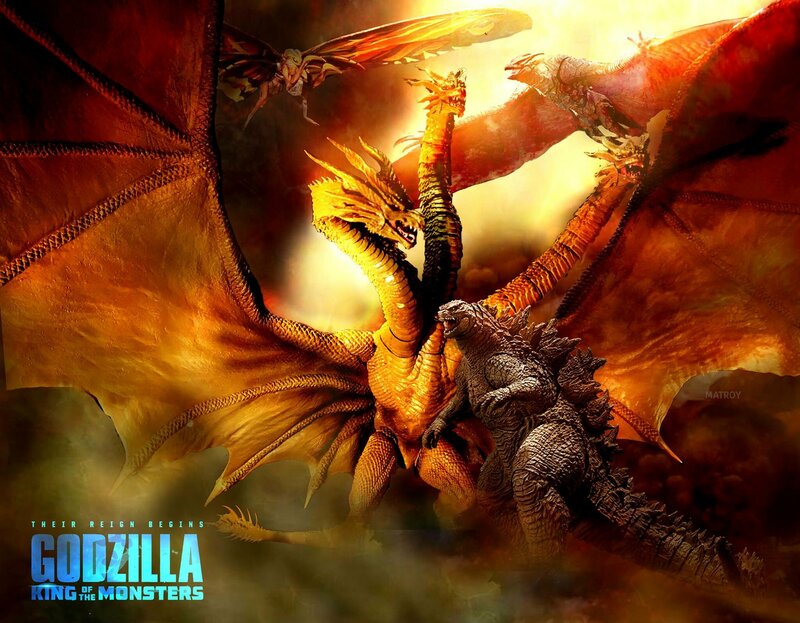 9 Fan responses to Monsterverse King Ghidorah dwarfs Godzilla and other Monsters in the new movie! I am so happy to see this comparison. I was worried that the sizes of these kaiju would be out of place, but seeing them like this I can except their size. 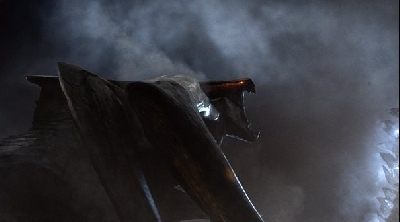 Also, notice how the legs and the torso of Ghidorah are the same sizes as Godzilla's. It's the necks that give him the extra 100m. Ghidorah's official height is 521 feet. Converted to meters that's 158.8 meters. 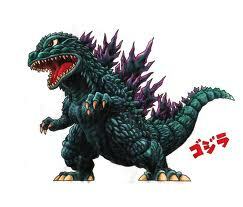 Godzilla's official height is 355 feet. Converted to meters that's 108.2 meters. Basically there is a 50 meter height difference like with the Showa and Heisei incarnations of the two. Despite, Ghidorah is absolutely massive and I love it. Well, presumably, the next movie will be an underdog story for Kong given how much larger and stronger Godzilla will be even after Kong does some growing. 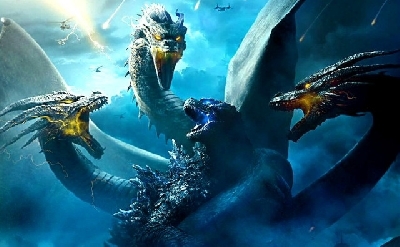 Because given the pattern most of the G-Series has gone it's very likely that the Big G won't be taking down Ghidorah by himself, either getting help from Mothra or from humans. while the Kong scrap will probably be more of a one-on-one. 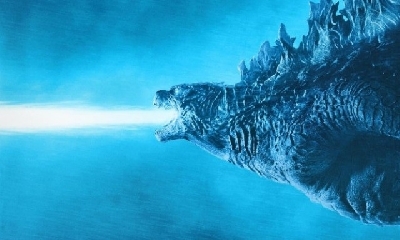 My theory remains that humans will probably end up deciding to help Team Godzilla against Ghidorah by using the Oxygen Destroyer against it as the bigger threat, I doubt very much that Godzilla's going to be alone in his efforts. you both make valid points. i don't think King Ghidorah will be killed off in the first movie. 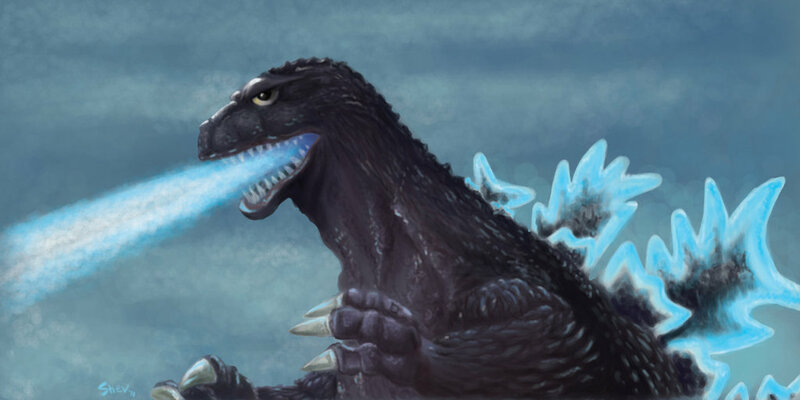 I believe Godzilla will lose to Ghidorah this time and the humans understands that Godzilla can't do it by himself. 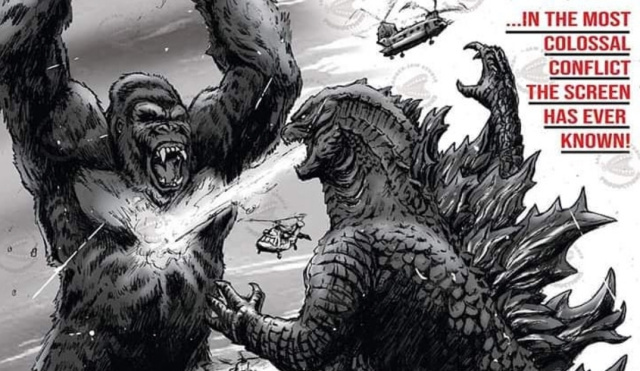 so the humans decide to bring Kong over to help Godzilla fight Ghidorah but instead fights each other until they team up to fight Ghidorah. i could be wrong. 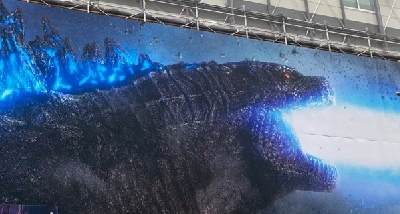 i'm just speculating but i believe the titan temple Dr.serizawa died in will unleash other monsters during the movie "King of The Monsters" or "Godzilla Vs Kong"
Maybe, just maybe, the battle with Ghidorah is too brutal that Godzilla still haven't recovered completely when he faces off with Kong. That would make the playing field a bit more even. 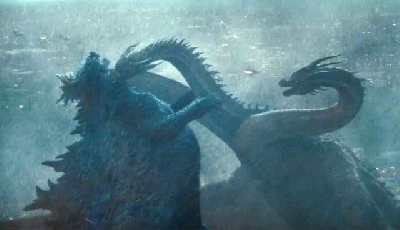 I seem to recall that Ghidorah was always bigger than Godzilla... so I'm glad to see that they have not changed that fact. Ghidorah looks awesome. It's going to be an experience at the theater... that I think every G fan will remember til the day they die.